Many asset owners are faced with similar problems and uncertainty when it comes to undertaking corrosion remediation projects. Not knowing how to prioritise or where to start your project is a common issue shared by asset owners. Shrinking maintenance budgets means that all blast and paint projects to be undertaken must be approached in a very focused and targeted manner, ensuring that the areas critical to plant operation, production and safety are prioritised. Developed in-house for the exclusive use of Incospec Global Field Services clients, Guardian is an indispensable tool in the management of corrosion protection of plants, equipment and other valuable assets. 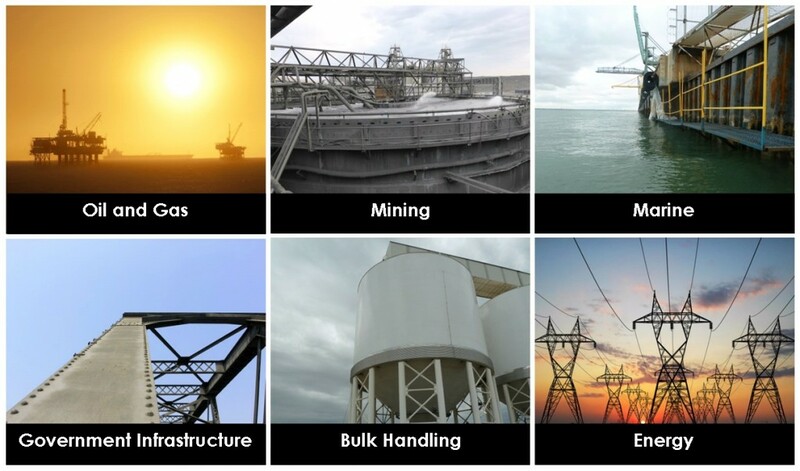 Designed with input from key figures in the global oil & gas, mining, bulk handling and energy industries, Guardian leads the way in risk based analysis of protective coating condition/performance and corrosion remediation. 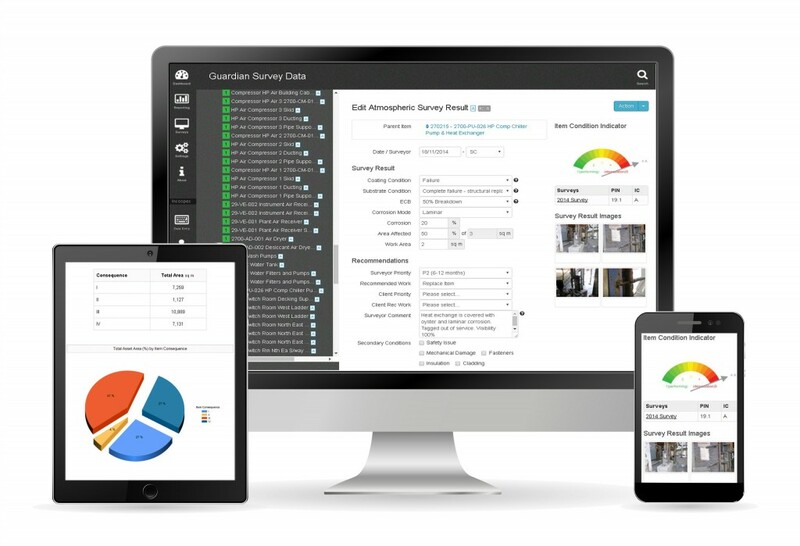 Used in conjunction with condition assessment surveys, Guardian enables asset and executive managers to clearly identify the health of their plant and prioritise maintenance budgeting requirements, to ensure that available funding is committed in the most effective manner. Guardian provides those responsible for managing and maintaining major infrastructure in ‘fit-for-purpose condition’ with a system that removes the guesswork from planned maintenance projects. Guardian arms it users with the power to help both understand and manage the protective coatings and corrosion condition of their assets. Guardian allows users to access and update their asset data, develop reports and work packs whilst in the field using their smart device or tablet. It is essential that the data produced from a condition assessment survey is structured and consistent. We factor in human engineering and training as extremely important and only use internationally-experienced and qualified surveyors for every project. All Incospec Global Field Services Guardian personnel are trained to the NACE standards of qualification. Clients can review the condition, access requirements, safety hazards, recommended work, images and drawings of every square metre of their asset. From the reports created by the Guardian software, a maintenance plan can be developed. Planned maintenance ensures that valuable plant and equipment gives service life equal to, or better than design life. Failure to undertake this regular maintenance will result in costly replacement, safety issues, production loss, downtime or at best, an expensive blast and repaint program. Guardian contains a standard suite of reports and deliverables, which can be exported in to word, PDF, excel or .CSV formats. Custom reports are also regularly developed to suit the needs of our clients. Develop bespoke blast and paint work packs which are quote and contractor-ready. 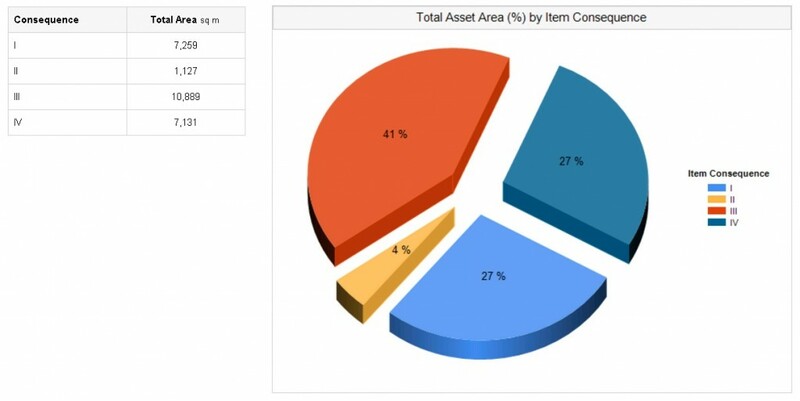 Graphical report option showing percentage of asset areas by assigned item consequence. Understand the risk posed to plant safety, production and environment. Multiple dashboard views provide you with an immediate visual overview of your asset condition data. The dashboard view is customisable to display your own plant data priorities. As corrosion rarely occurs in easy-to-reach locations, our teams will use the safest and most efficient methods available to assess the difficult areas in your plant.